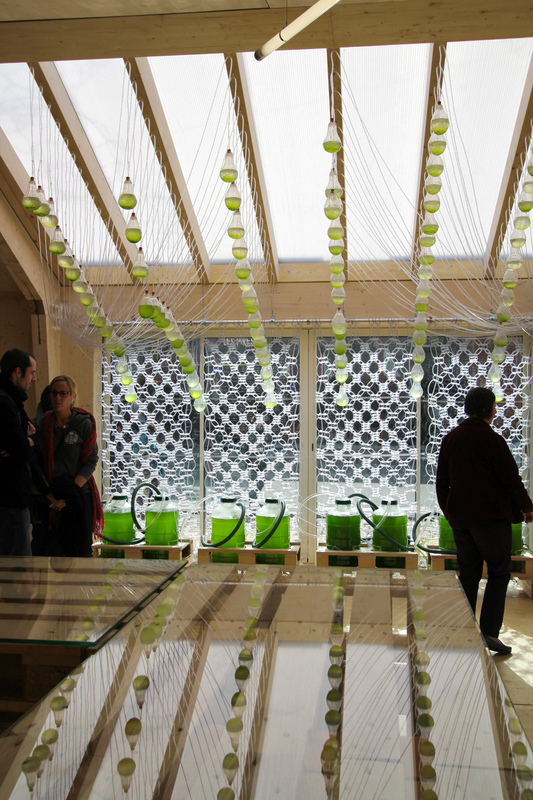 The Algae Curtain was developed as part of the Living Laboratory from the Energy Futures project for EDF 2012. Transparent tubes are knotted into large architectural drapes suspended in sunny windows. 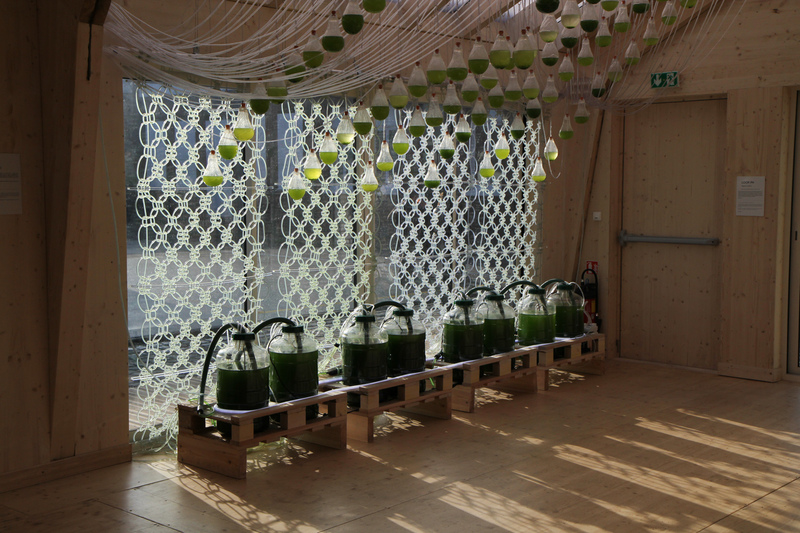 Living algae is pumped through the textile soaking up the daytime sun and photosynthesising to produce a bio-fuel that can be used locally. Microscopic algae grow ten times faster than trees and produce huge amounts of oil through photosynthesis. 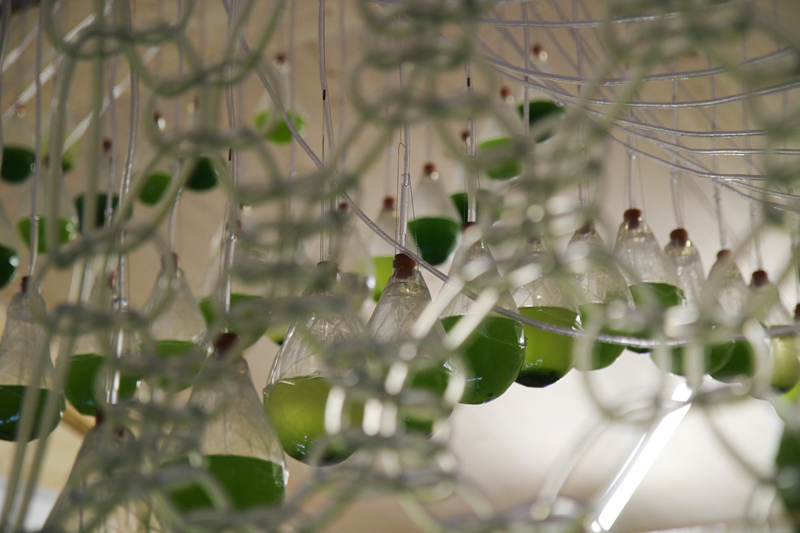 The Algae Curtain provides a permanent support infrastructure for the Future Fruits and together form micro-ecologies networked with a tangle of living plastic. Future fruits are the harvest of the energy orchard and are plucked from the hybrid trees for their bioluminescent and energy producing organisms to provide light and fuel for the city. The capsules can be considered an evolution of the everyday battery but grown from living matter to be harvested from trees. Microscopic algae grow ten times faster than trees and produce huge amounts of oil through photosynthesis. 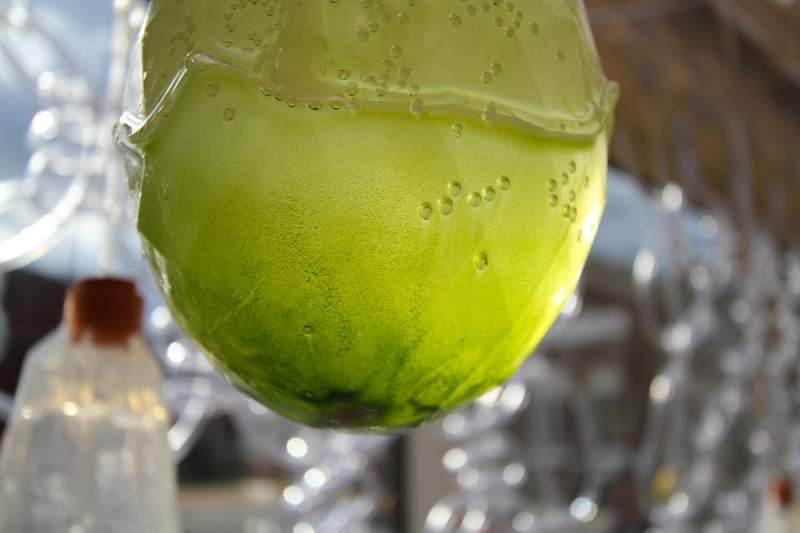 Over 50 percent of Algae’s bio mass is oil and this oil can be refined to produce renewable and sustainable bio-fuels. 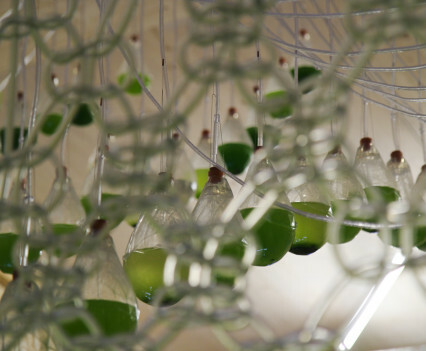 In nature algae can cause massive destruction to aqua based eco systems by starving the water of natural light, yet global energy concerns could be addressed by harnessing the photosynthesising algae in photo-bioreactor technologies. Algae are the fastest growing organic material on the planet – ten times faster than trees – with the more efficient species doubling their volume every 6 hours. Microscopic Algae’s yield per hectare is considerably higher than that of sunflower or rapeseed. Using algae as a biomass for generating oil, 75000 litres of bio-diesel per acre per year can be generated, compared to just 68 litres using corn as a biomass. Microscopic algae are a group of relatively simple organisms that capture light energy through photosynthesis, using it to convert inorganic substances into organic matter. Bio-diesel produced using algae contains no sulfur, is non-toxic and highly biodegradable. 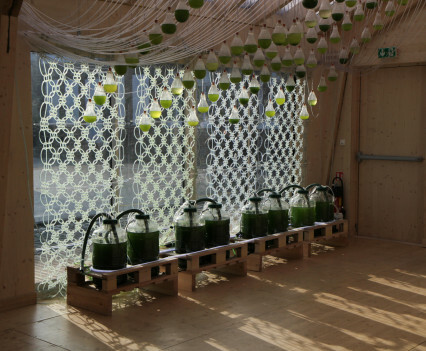 Algae bio-fuels could be used to produce renewable electricity to power the city grid. 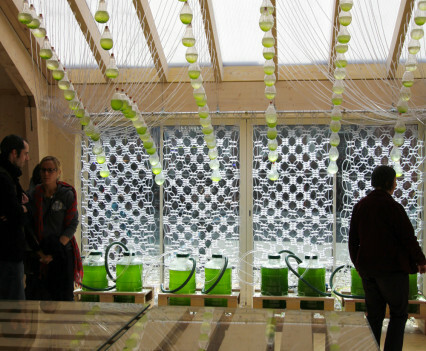 Share the post "Algae Curtain"